A business lives and dies with its customers When a business is born, the customers are the only important thing. Within them, the business will never get off the ground. here is a lot to be learnt from profitable small businesses. The sale should only be a start The very first thing to properly understand is that customers want their problems solved quickly, with certain slight differences. For example, people are prepared to wait a day to receive a response by email, but the response needs to be faster in social networks, which are more reactive and can punish you at lightning speed. Afterwards, the customer requires constant attention. It is a mistake to imagine that the relationship comes to an end with a sales agreement: to keep the customer engaged, the sale should only be a start. This customer must be given support! Example: the Weekdone company markets tools for scheduling weekly tasks. 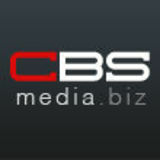 This firm spends a lot of time not only on the sales process but also on training and providing help to its customers. And a company director (SnapShot) has recognized that what led his company to choose Weekdone was “the extremely helpful customer service department, which was always available to answer questions”. must know that he is speaking to a real person. Creating blogs and establishing a presence on Facebook or Twitter pay dividends for the brand image and the building of customer relationships, especially if you ALSO provide information there that is not necessarily directly related to your product but is interesting and useful in adjacent fields. It must be understood that a business lives and dies with its customers. You can market the best product in the world but if the public does not need it the whole exercise will be pointless. You may be ahead of your time, but that will get you nowhere if you do not clearly explain the product and succeed in engaging potential customers. ith a view to improving collaboration and the exchange of ideas as well as strengthening relations between the participants. IACC examined this issue by conducting an extensive survey among global leaders in varying fields that included meeting room design, audiovisual technology, the hotel business and universities, as well as among meeting managers. to interactive technology, it is this latter aspect that is expected to take precedence in the coming years. Sights set on maximum productivity Basically there are several necessary constants for a successful meeting: the broadband Internet connection that is considered “critical” for meetings, good acoustics and appropriate lighting. Some distinct trends, however, are perceptible, and one of these is the need for more creative and less traditional options - a development of major importance. And just as important is the presence of truly operational state-of-the-art technology, including the introduction of beacons allowing traffic to be tracked, as well as videoconferencing facilities. This dependence on technology is expected to grow significantly in the coming years. 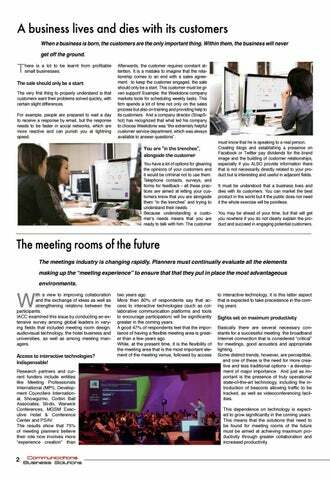 This means that the solutions that need to be found for meeting rooms of the future must be aimed at achieving maximum productivity through greater collaboration and increased productivity.